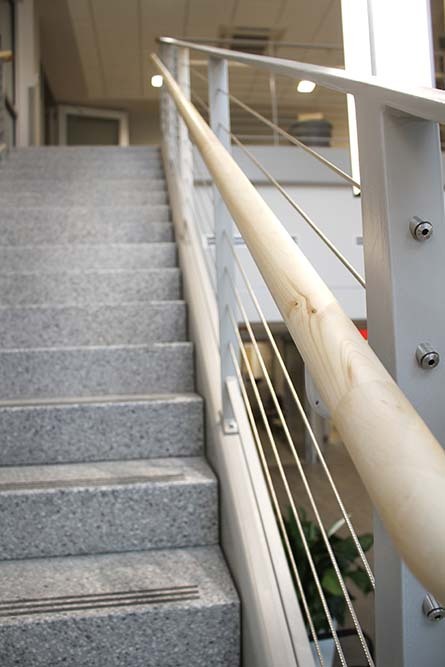 Cayuga Medical Center stairway railing. 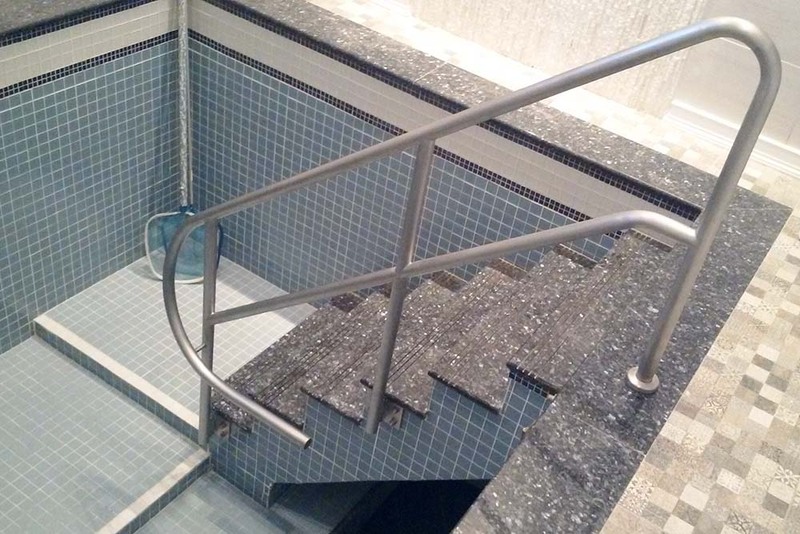 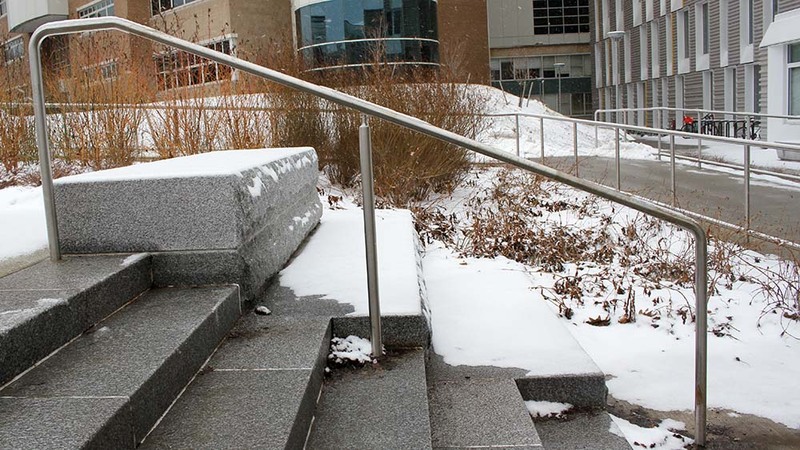 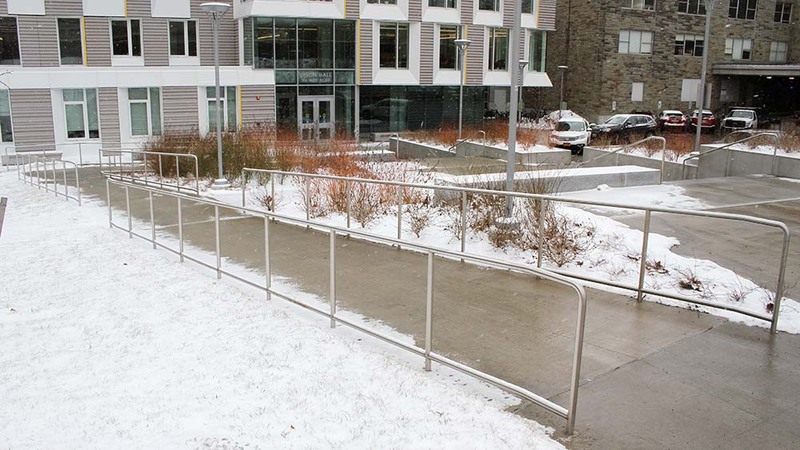 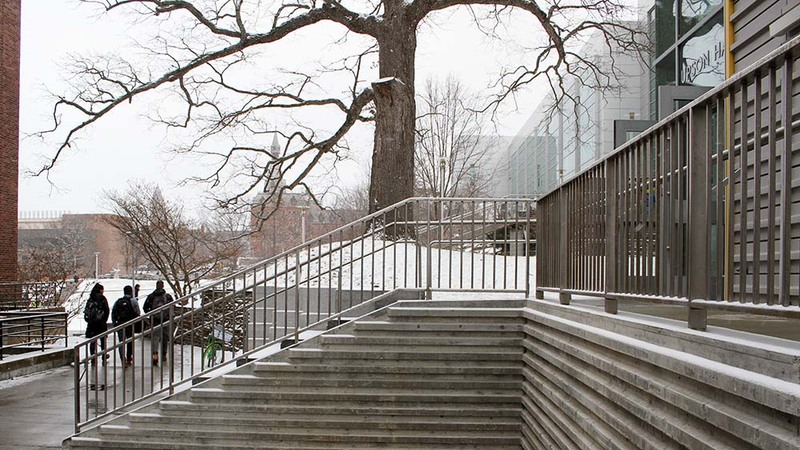 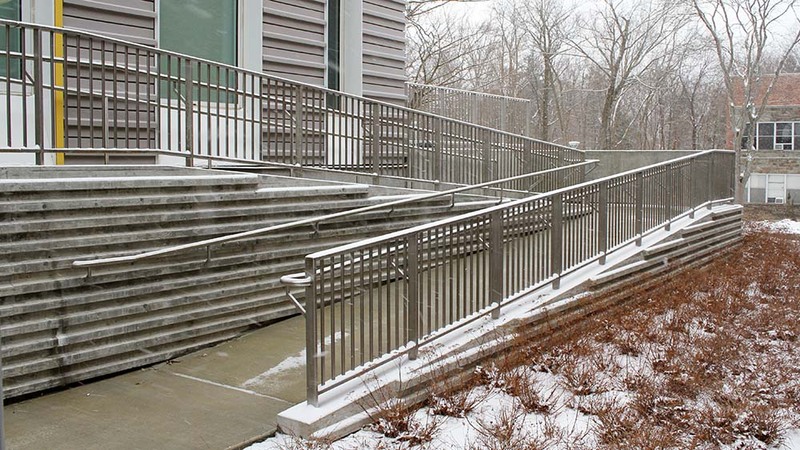 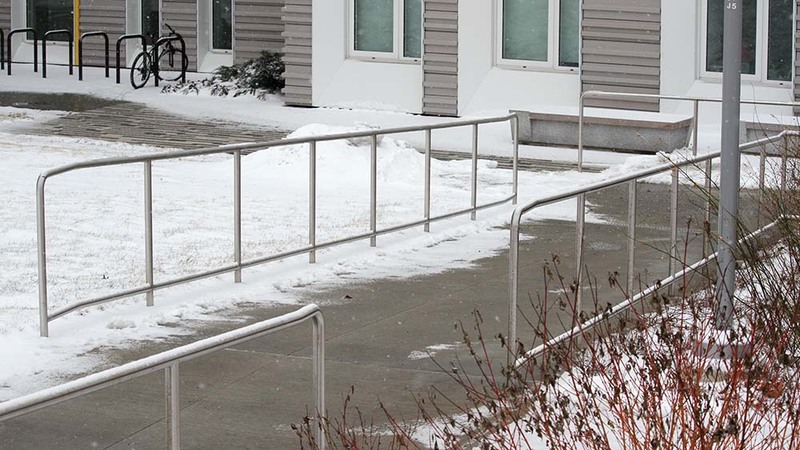 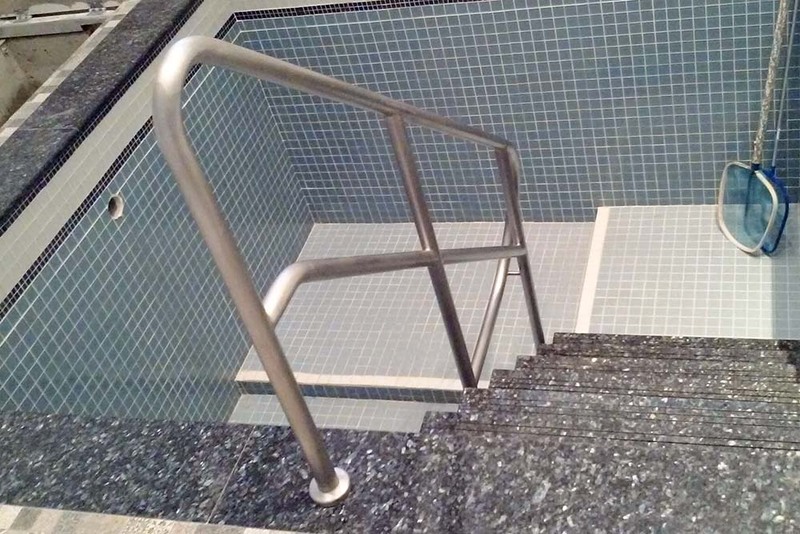 This was an extensive project to design, fabricate and install stainless steel railings along sidewalks, stairs, ramps and a patio. 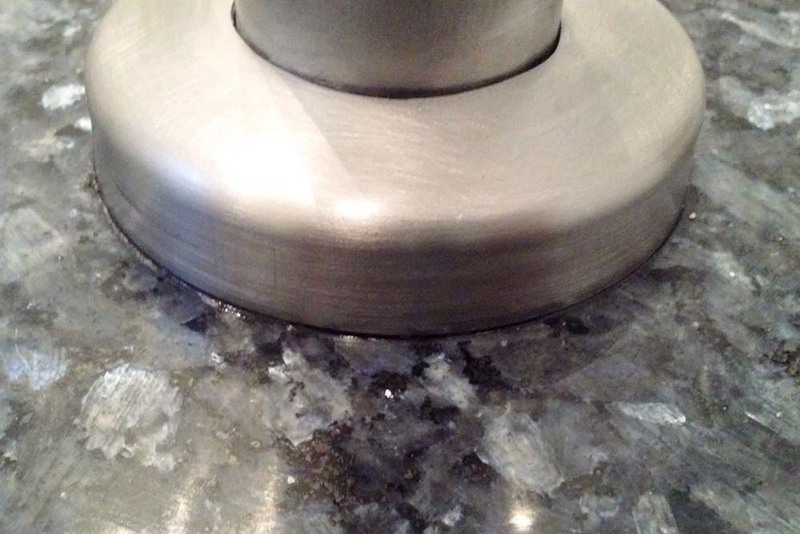 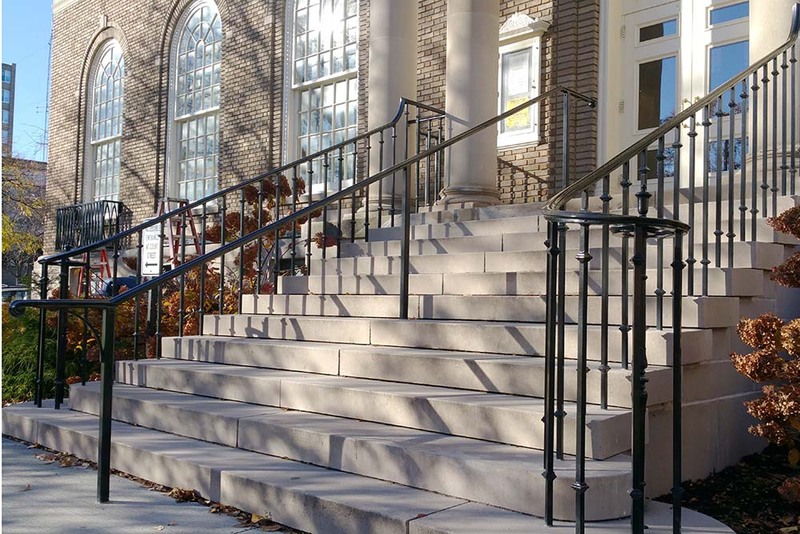 Railings were cemented and grouted into drilled holes in concrete and granite. 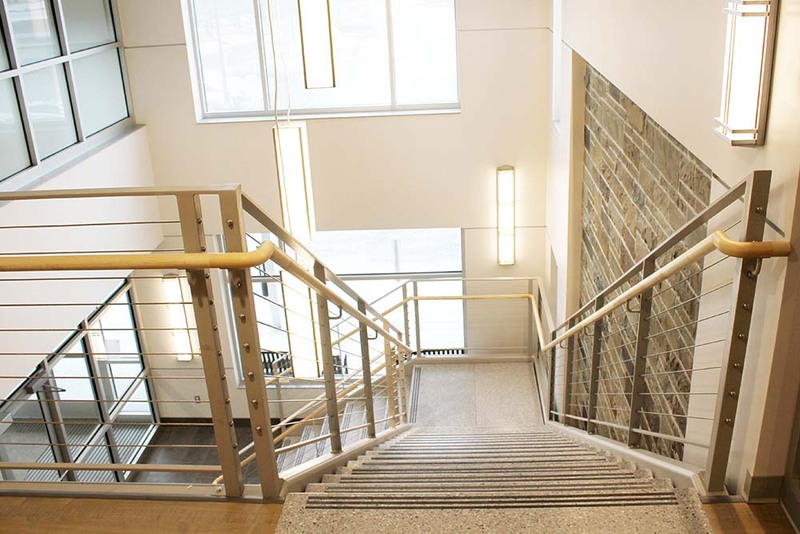 Sections also included underground-routed wiring for built in lighting. 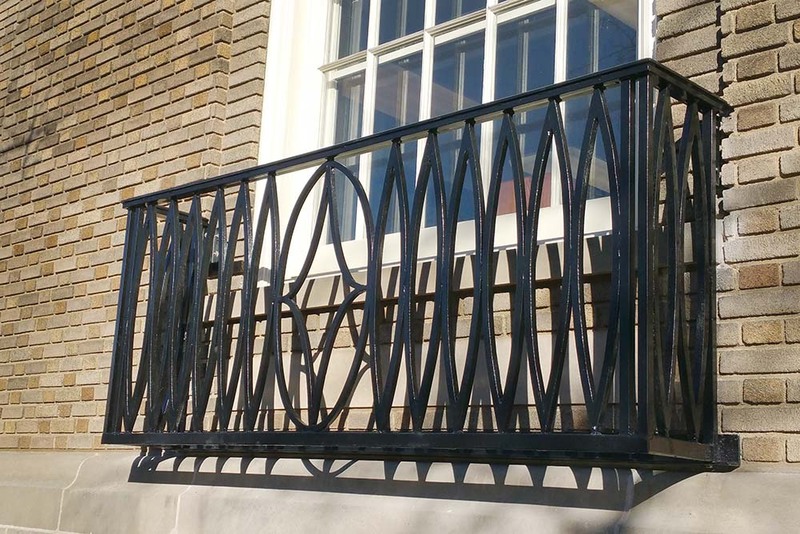 The patio guard rail was fabricated in our shop, however, installation included welding and finishing on site, to create a continuous guard rail structure around the perimeter. 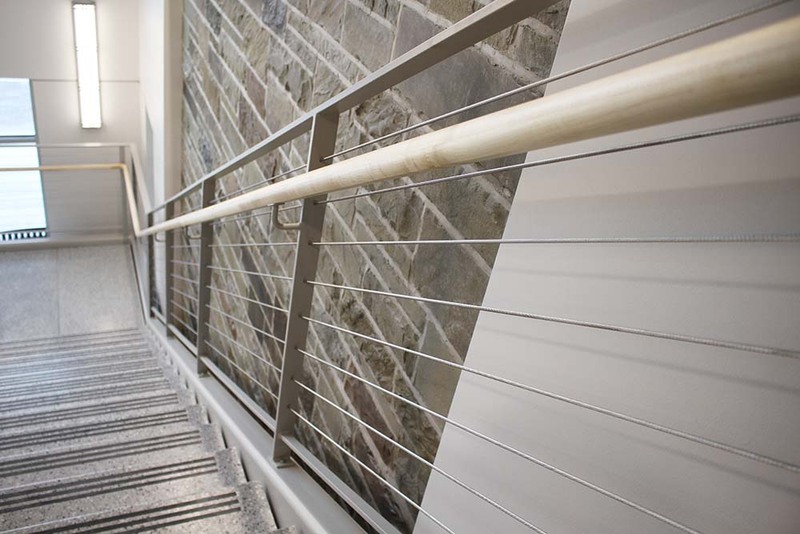 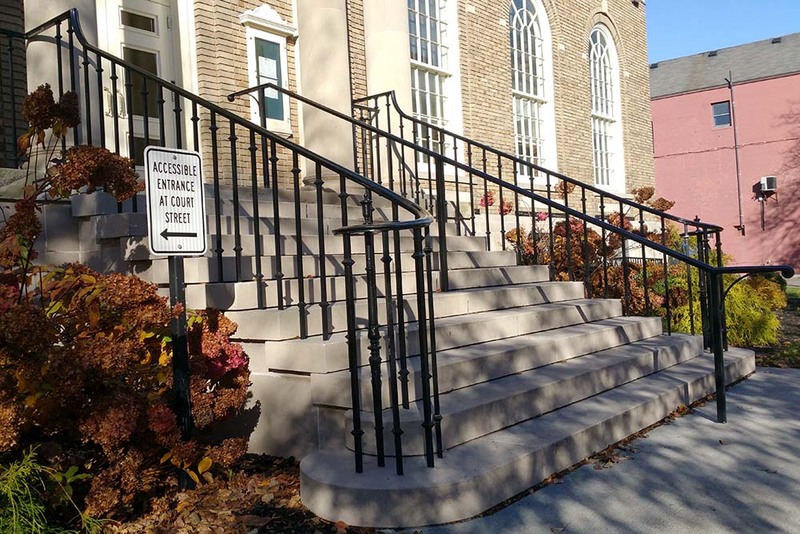 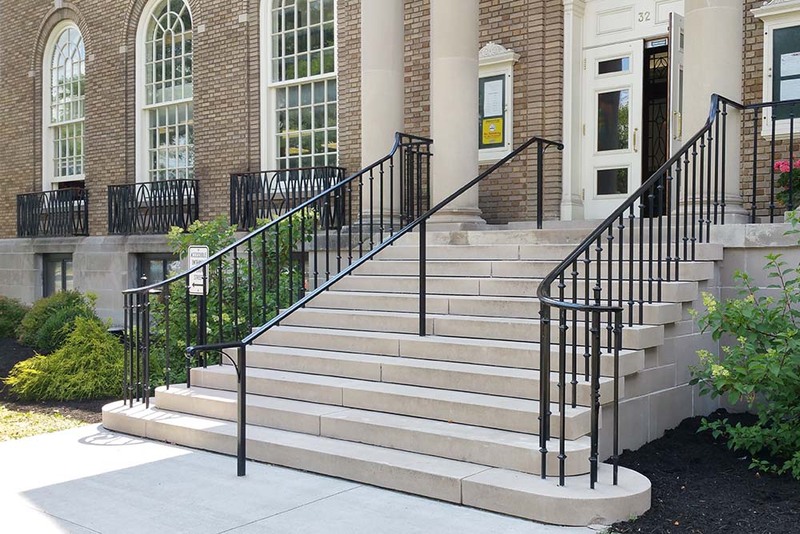 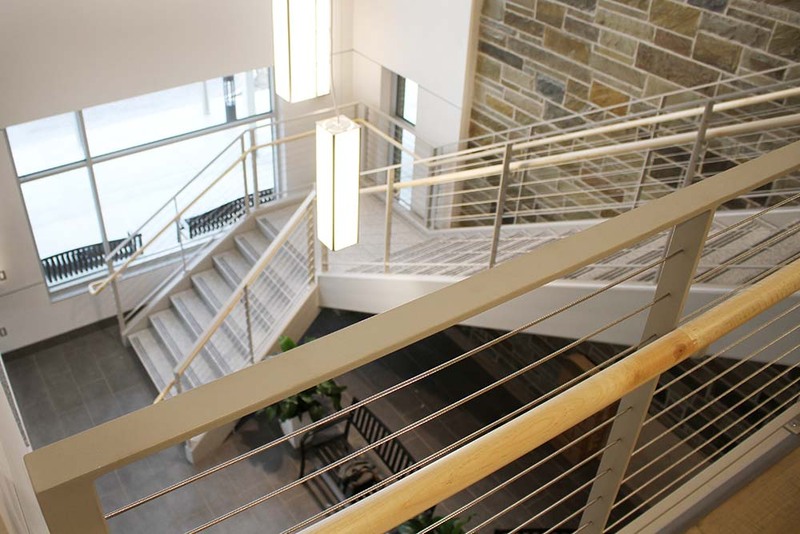 Accufab was contracted to carry out a repair and refurbish project on the 1800s era cast iron stair and balcony railings at the Cortland Free Library. 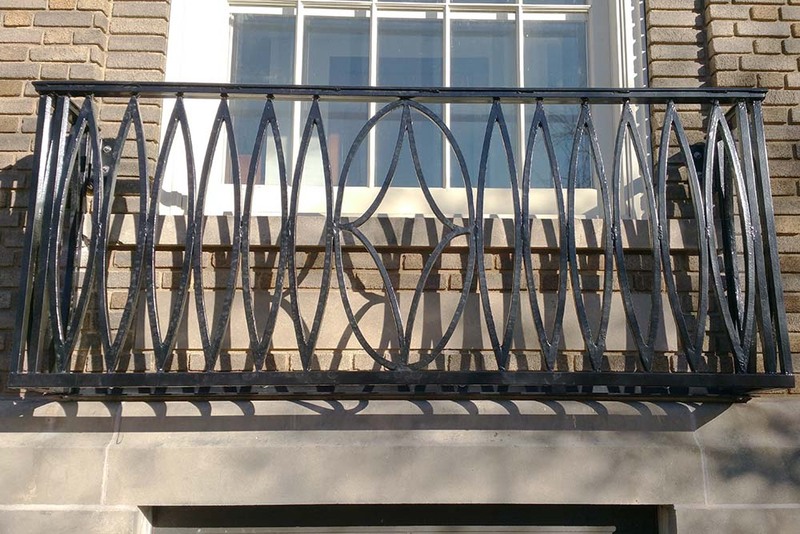 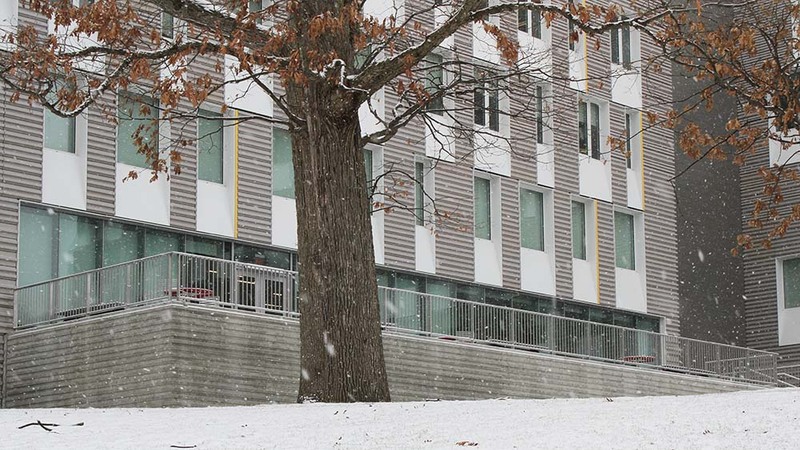 On the balconies, existing railings were repaired, while the stair railings required a complete custom fabrication, taking care to maintain the original, historical aesthetic and construction methods. 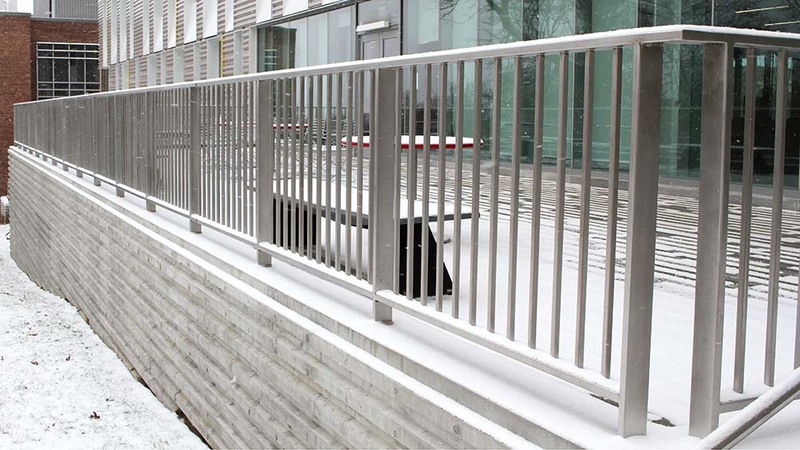 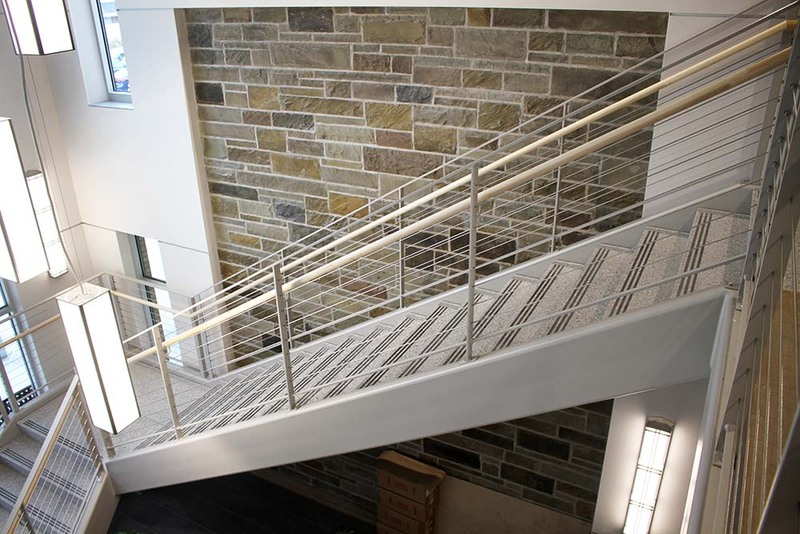 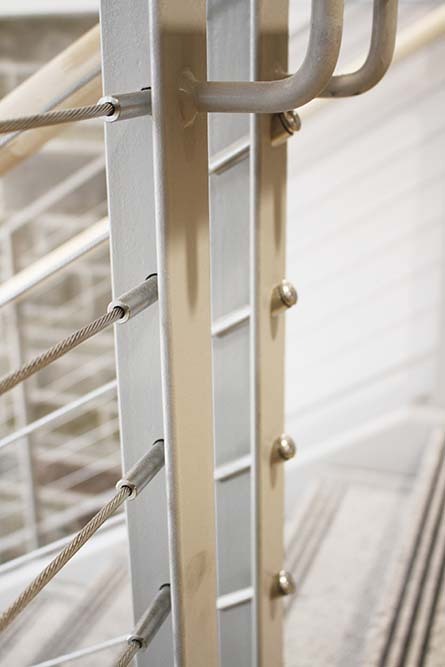 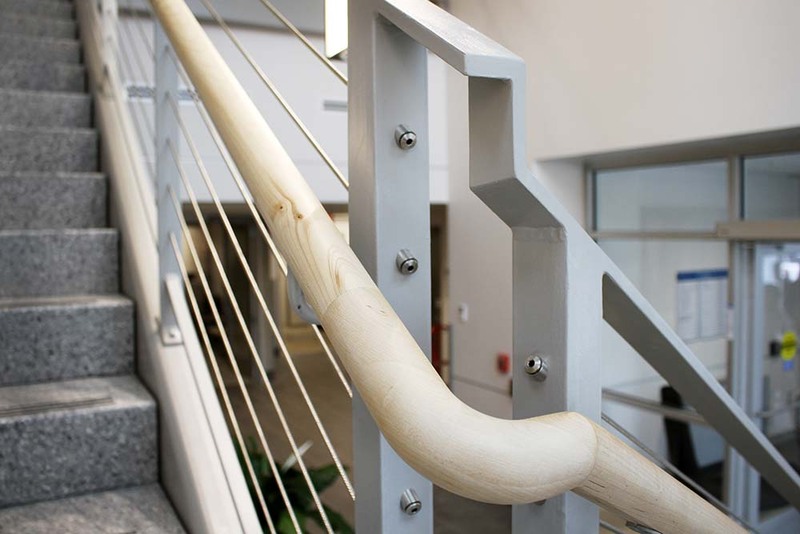 New railing components were galvanized and powder coated for long term beauty and durability with minimal maintenance.